This is great for apricot leftovers, and quite a stage for them to shine. It will highlight the lushness of the fruit and allow the hidden flavours to balloon up. Easy to prepare, this is the perfect note to end of any meal. Place sugar, earl grey tea, lemon zest and a few grinds of fresh pepper in a food processor. Process until the aromas are released and mixture is blended. 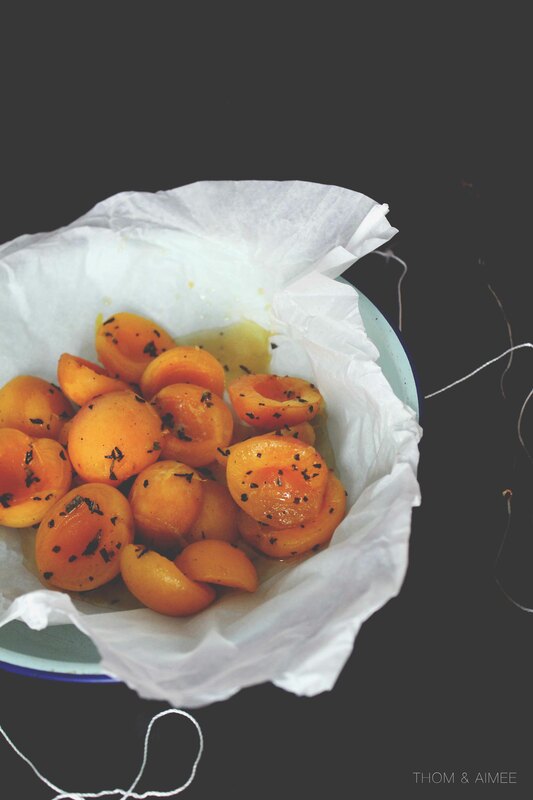 Place apricots onto piece of parchment. Sprinkle sugar spice mixture evenly over the apricots. Add lemon juice and butter. Fold the parchment paper accordingly (You can learn how to fold parchment paper here) and be sure that it is tightly sealed so that no steam escapes. Place packet on a baking sheet. Bake for 10-12 minutes or until packets are puffed.